ComeOn Poker employ the strictest anti-hacking security standards so you can deposit and withdraw your money with absolute confidence. 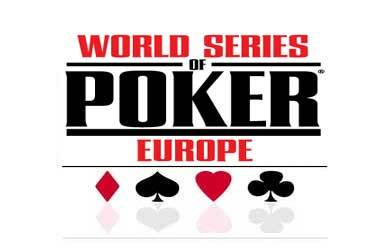 ComeOn Poker, which is licensed and regulated by the Lotteries and Gambling Authority of Malta, does not accept any US poker players. But it forms part of an online poker network that accepts players from all parts of the world such as UK, America, and Europe. Remember to use your ComeOn Poker Bonus Code for special bonusesComeOn, the online gaming company that owns ComeOn Poker, also holds an Internet gaming license from Curacao. ComeOn Poker features state-of-the-art poker gaming software, excellent customer care service, generous bonuses, lucrative promotions and tournaments, and fabulous rewards for loyalty. ComeOn Poker welcomes players with a warm welcome bonus of 100 percent up to $25 on their first deposits just to help them get started with their real money online poker adventures. Players must make a minimum deposit of $25 to become eligible for this bonus. The bonus is easy to clear, and the online poker room will credit it to players’ real money accounts in increments of $5 as and when they collect the required player points. ComeOn Poker also has another delightful gift for new players in the form of ComeOn! Daily Freerolls. These freerolls have prizes in the range of $25 to $125 and give players a nice chance to plump their poker bankrolls without risking anything. Every month, ComeOn Poker gives away around $2,600 in freeroll prizes. Besides, there are promotions galore at ComeOn Poker, giving players several chances to win cash and non-cash gifts. If players are eager not to miss an interesting promotion, bonus, or offer, they must sign up for the ComeOn Poker newsletter, which brings the latest news directly to their inbox. Participating in ComeOn Poker tournaments is a great way to hone one’s poker skills, learn new poker strategies, and win large cash prizes. An average online poker player can easily become a poker pro just by participating in ComeOn Poker tournaments, which challenge players to win not only cash, but also prize packages to prestigious live poker events all over the world. ComeOn Poker challenges players to win their share of more than $1,000k every month playing guaranteed tournaments alone. 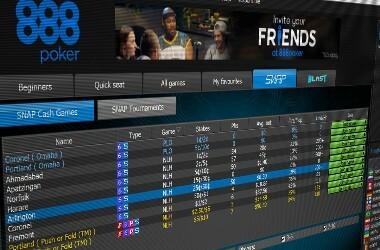 Players who like high-speed poker action can try ComeOn Poker’s lightening tournaments and turbo tournaments, where the antes are high and the blind intervals are short. 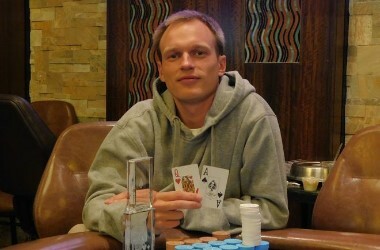 ComeOn Poker has tournaments for every type of online poker player under the sun. 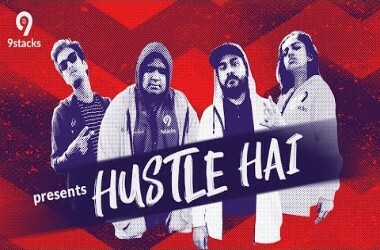 While beginners can try plumping their bankrolls playing freerolls, seasoned players can try qualifying for lucrative poker events playing satellite tournaments. Other types of tournaments at ComeOn Poker are multi-table tournaments, Sit & Go’s, Shootout tournaments, and Re-buy and Add-on tournaments. ComeOn Poker rewards players’ loyalty through a special Gold Reward System, an innovative reward program, which encourages players to continue playing for real money by giving them Gold Cards, Gold Stacks, and Gold Chips. The online poker room rewards poker players who play cash games and tournaments with Gold Chips, which can be converted into tickets to tournaments or real money. Gold Cards, which are given away at random whenever players take part in a cash game, give ComeOn Poker players access to more than $250k in rewards every month. 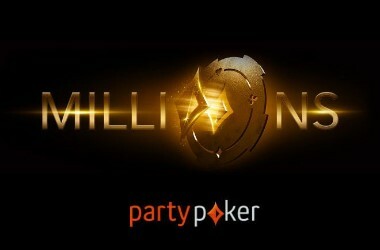 The online poker room then encourages players to build stacks of gold to get larger rewards and extra bonuses. Banking at ComeOn Poker is easy, quick, and secure. If players choose their country from the drop-down box on ComeOn Poker’s payment methods page, they will get a list of the best banking methods for their location. Players can fund their ComeOn Poker accounts using credit cards, instant bank transfer, online wallets, prepaid cards, and bank transfer. Beginners have no reason to get confused because they can read details of each banking method on the poker site’s payment method page. The information provided is so comprehensive that players can easily choose the banking method that best meets their requirements. 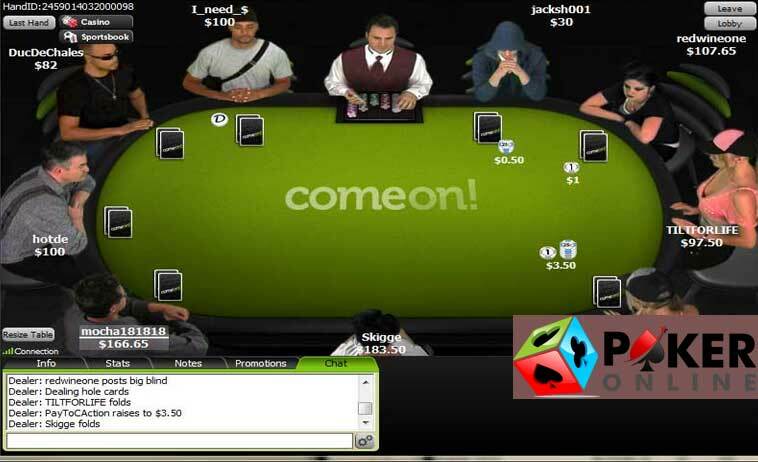 The support team at ComeOn Poker is ready to assist players 24/7 through live chat, telephone, or email. However, the online poker room requests players to check its comprehensive Frequently Asked Questions (FAQ) section for answers to their questions before attempting to get in touch with customer care. 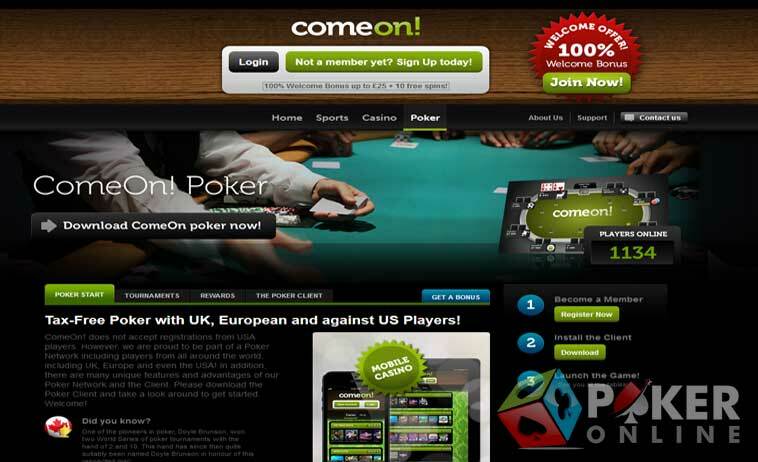 The Help section at ComeOn Poker also has videos to help new players understand the site’s services and features. Alternatively, players can use the live chat or the call back service or sent an email to the online poker room. If they prefer the old-fashioned method, they can write to 203, Ground Floor, Tower Road, Sliema, SLM1602, Malta.